How to be safe when you enter into a confined space! You are here: Home / confined space / How to be safe when you enter into a confined space! Safety and security of workers are compromised when employers fail to recognize the risk perceptions existed in a particular work environment and take adequate preventive measures to avoid accidents and injuries. In the conventional work places such as factories or offices, safety needs of every worker can be met by addressing all possible potential workplace hazards and devising dependable and sustainable safety mechanisms to prevent mishaps and disasters. However, in unconventional work environments such as man-holes, mines or narrow pipelines, workers face uncongenial and dangerous conditions while undertaking repair or maintenance operations. Such confined workplaces, where workers required to remain for some time, can be extremely dangerous if proper safety precautions are not taken care of. Confined workplace can be described as one which has limited access or openings for entry and exit, extremely less ventilation for human existence, filled with life-threatening gases or liquids and unfriendly conditions where continuous employee occupancy is not recommended. The dangers associated with confined spaces can lead to serious injury or even death to workers. 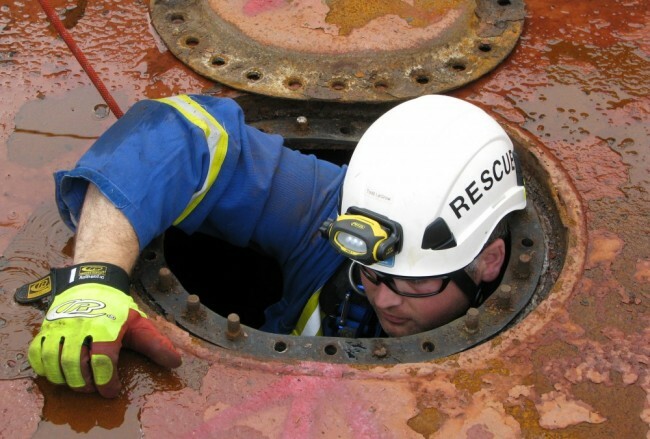 There are two major reasons that cause fatalities in confined work spaces. Failure by employers to recognize, assess and control dangers connected with confined places or inefficient emergency response which can lead to multiple fatalities. It is highly essential that workers involved in confined spaces should have awareness and deep understanding about the dangers involved and should have adequate protective means to face sudden crisis. With advancement in technology, workers assigned to carry out their responsibilities in inhospitable environments should no longer worry about their personal safety as there are equipments which can come to their aid while performing duties at confined spaces. For example, before entering the narrow space, employees should know the temperature inside, presence of any hazardous or toxic gas, inflammable liquid, knowledge about emergency exits and standby rescue plans. As the saying goes, ‘better be safe than sorry’, employees should be aware of workplace hazards and risks and take adequate safety measures as prescribed in the safety regulations and practices to remain safe and healthy. Workers who are assigned with responsibilities to be carried out in confined spaces, should also regularly update their knowledge and skills on safety standards and principles and technology innovations in terms of providing safety gadgets, protective gears and improved evacuation techniques in case of emergency. Employers should also arrange regular in-house training camps from competent institutions such as Green World Group to train employees so as to reduce injuries and fatalities. Workers should upgrade their knowledge and practical skills on workplace safety by taking accredited HSE courses from reputed international boards and institutions which will make them competent to lead a team of safety personnel in any challenging work environment.